Athletic gear, much like all apparel categories, is quickly shifting to an online sales business. Sports Authority, seeing the benefits that cloud could offer around agility and speed, turned to Google Cloud Platform to help it respond to its customers faster. In 2014, Sports Authority’s technical team was asked to build a solution that would expose all in-store product inventory to its ecommerce site, sportsauthority.com, allowing customers to see local store availability of products as they were shopping online. That’s nearly half a million products to choose from in over 460 stores across the U.S. and Puerto Rico. This use case posed a major challenge for the company. Its in-store inventory data was “locked” deep inside a mainframe. Exposing millions of products to thousands of customers, 24 hours a day, seven days a week would not be possible using this system. The requirements for a new solution included finding the customer’s location, searching the 90 million record inventory system and returning product availability in just the handful of stores nearest in location to that particular customer. On top of that, the API would need to serve at least 50 customers per second, while returning results in less than 200 milliseconds. At the time this project began, Sports Authority had already been a Google Apps for Work (Gmail, Google Sites, Docs) customer since 2011. However, it had never built any custom applications on Google Cloud Platform. After a period of due diligence checking out competing cloud provider options, Sports Authority decided that Google App Engine and Google Cloud Datastore had the right combination of attributes — elastic scaling, resiliency and simplicity of deployment — to support this new solution. Through the combined efforts of a dedicated project team, business partners and three or four talented developers, it was able to build a comprehensive solution on Cloud Platform in about five months. It consisted of multiple modules: 1) batch processes, using Informatica to push millions of product changes from its IBM mainframe to Google Cloud Storage each night, 2) load processes — python code running on App Engine, which spawn task queue jobs to load Cloud Datastore, and 3) a series of SOAP and REST APIs to expose the search functionality to its ecommerce website. Sports Authority used tools including SOAPUI and LOADUI to simulate thousands of virtual users to measure the scalability of SOAP and REST APIs. It found that as the number of transactions grew past 2,000 per second, App Engine and Cloud Datastore continued to scale seamlessly, easily meeting its target response times. The company implemented the inventory locator solution just in time for the 2014 holiday season. It performed admirably during that peak selling period and continues to do so today. 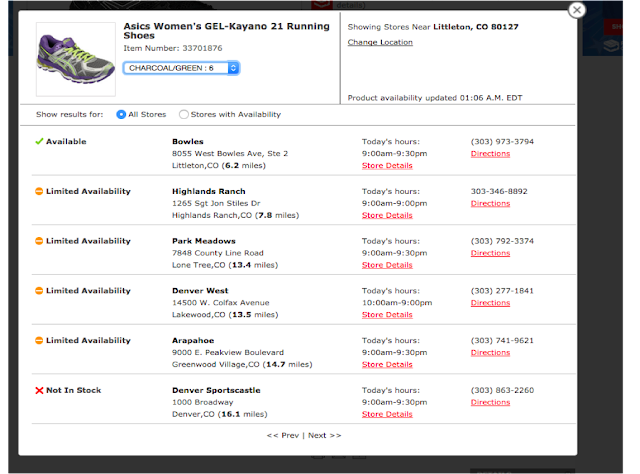 When a customer finds a product she's interested in buying, the website requests inventory availability from Sports Authority’s cloud API, which provides a list of stores and product availability to the customer, as exhibited in the running shoe example above. As Sports Authority became comfortable building solutions on Cloud Platform, it opened its eyes to other possibilities for creating new solutions to better serve its customers. For example, it recently developed an in-store kiosk, which allows customers to search for products that may not be available in that particular store. It also lets them enroll in the loyalty program and purchase gift cards. This kiosk is implemented on a Google Chromebox, connected to a web application running on App Engine. 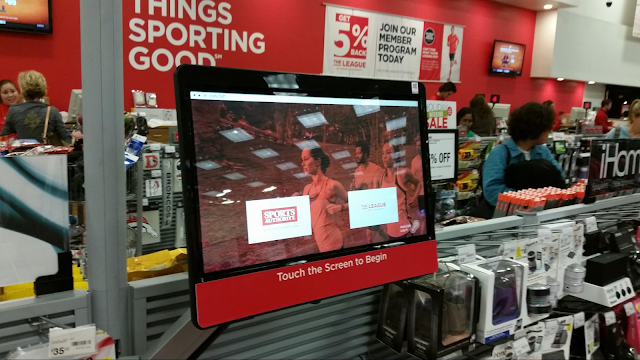 This image shows the in-store kiosk that customers use to locate products available in other stores. Additionally, it built a store portal and task management system, which facilitates communication between the corporate office and its stores. This helps the store team members plan and execute their work more efficiently, allowing them to serve customers better when needs arise. This solution utilizes App Engine, Cloud Datastore and Google Custom Search, and was built with the help of a local Google partner, Tempus Nova. This screenshot shows the internal store portal that employees use to monitor daily tasks. Learning how to build software in any new environment such as Cloud Platform takes time, dedication and a willingness to learn. 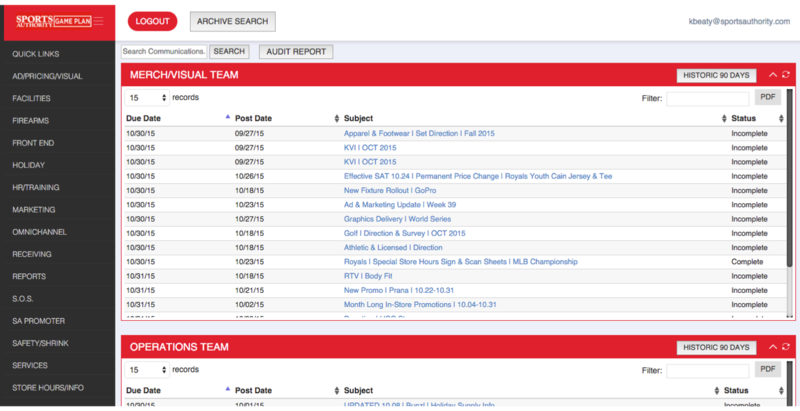 Once up to speed, the productivity and power of Google Cloud Platform allowed the Sports Authority team to work like a software company and build quickly while wielding great power.